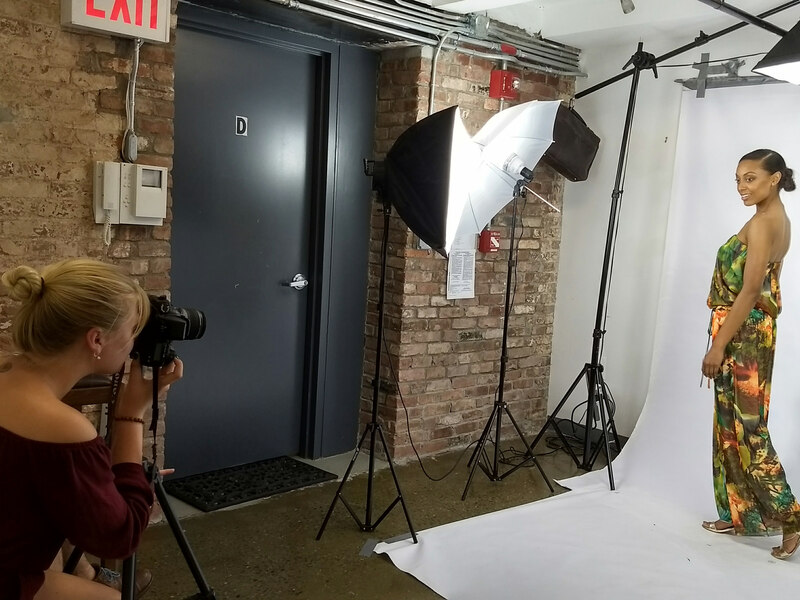 Earning a degree from Manhattan College translates to something different for every female engineer, as she moves through her professional life. During her academic career, it could mean lending her classmates the support to make research discoveries they never thought possible, or helping advise a younger student on the right classes to take, or how to land an internship. Once she enters the field, the knowledge she acquired at the College becomes the toolkit she draws from to excel at her dream job. As the College’s School of Engineering celebrates its 125th anniversary in 2017, it reflects on the qualities that have contributed to its longstanding success: excellence in education, mentorship, and collaboration between students, to name a few. Today, these values are illuminated by female engineering alumni, faculty, and current students who, together with their male counterparts, are building the future of Manhattan College. In October, the Society of Women Engineers student chapter hosted an alumni panel that brought together four decades of female engineering alumni: Noreen Krall ’87, Joanne Valentino ’97, Natalie Kovac ’07, and Fiona Dunn ’17. Each woman had pursued a slightly different career path, which provided a broad range of perspectives. 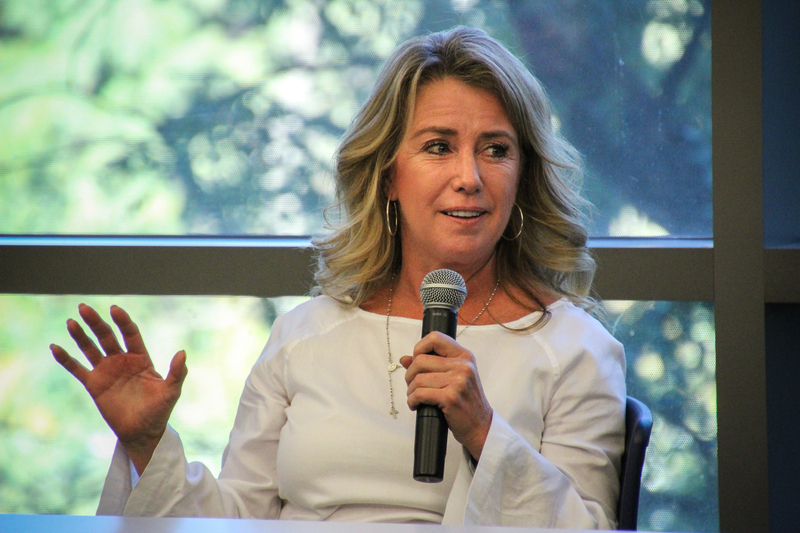 For her part, Krall, who serves on the Manhattan College Board of Trustees and is vice president and chief litigation counsel for Apple, Inc., spoke to students about perseverance. “You should always look for opportunities. If you see a project you’re interested in, raise your hand. Be present so that people know who you are. Always take on new challenges,” she said. This is something that Krall, who earned a degree in electrical engineering from the College, has done throughout her professional life. Shortly after graduation, she was a developer for IBM, and ventured to law school after a position in the company’s legal department piqued her interests. Since then, her career has been illustrious – she currently manages an in-house team of 45, and consults with outside counsel around the world. Krall is also one of three co-founders of ChIPs, a professional network for women looking to grow careers in intellectual property and technology. Valentino, a former chemical engineering major who built her career doing quality assurance at Merck and other pharmaceutical giants, makes sure to prioritize her family life, as a busy mother of two. Her advice? Don’t try to be perfect. Instead, focus on doing the best you can. Kovac’s role on the panel was the most recent in a series of alumni involvements: she regularly contributes to Engineering Awareness Day, and in the Manhattan College Mentor Program. As a Jasper, she remains dedicated to helping aspiring engineers find their career tracks because she can recall her own feelings of indecision at their age. “In high school and college, there are so many directions you can go in. I’ve felt that if I can show someone what I’m doing, and that can help even rule out a potential path, that’s what I’d like to contribute,” says Kovac, a mechanical engineer who currently works as a project manager for Guth DeConzo, an engineering consulting firm that handles project management for real estate ventures. Dunn, a former civil engineering major at the College and the panel's youngest alumna, is currently pursuing her Ph.D. at New York University Tandon School of Engineering. There, she is conducting complex research on the solar disinfection of antibiotic resistant bacteria and the inactivation of antibiotic resistance genes. Serving as emcee of the panel was Jessica Wilson ’08 (M.S. ), Ph.D., who advises aspiring engineers in a different way. Wilson is an environmental and civil engineering professor at Manhattan College. She is also one of several female engineering alumnae who came back to teach in its School of Engineering, an esteemed group that Christina Cercone ’09, Ph.D., Ann Marie Flynn ’88, Ph.D., and Victoria Scala ’10, Ph.D., are also a part of. Like these women, Wilson returned to teach so that they could make a difference on an interpersonal level. 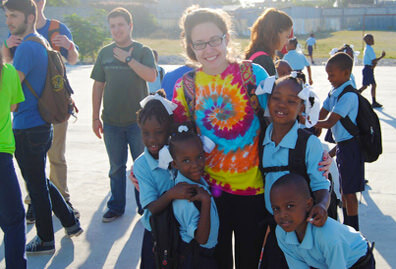 Working at a smaller school has afforded her many opportunities, such as the flexibility to conduct hands-on research with graduate students. For example, Wilson has been faculty adviser to an ongoing water quality assessment with nearby nonprofit Friends of Van Cortlandt Park since December of 2016. Since her own graduation, Wilson has noticed differences in the College’s female engineering student body. 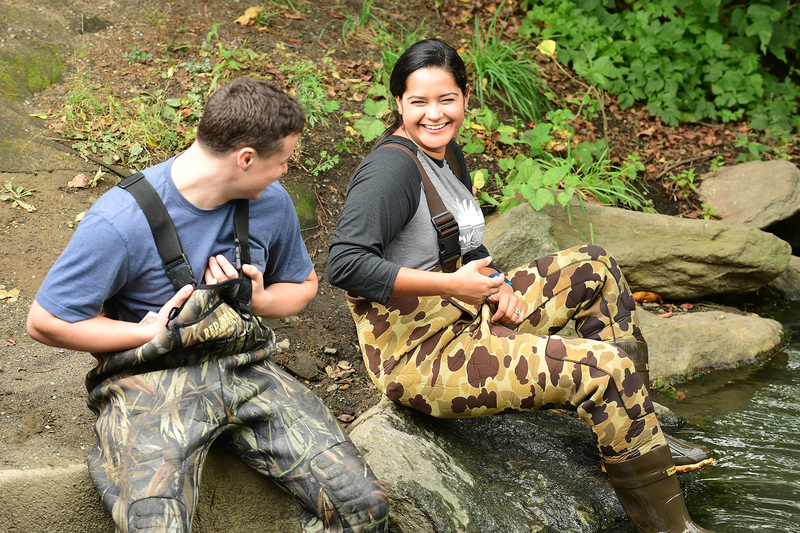 For one, they’re not standing on the sidelines; they’re literally in the thick of it – wearing waders in the middle of mucky water bodies, and sifting through bugs and mud. For Kerryanne Donohue ’92 (M.S. ), who is also a civil engineering professor and alumna, changes to this demographic are palpable. “Growing up, I always knew I was smart, but being able to express and articulate myself was a little bit difficult. Nowadays, my female engineers are participating significantly more. 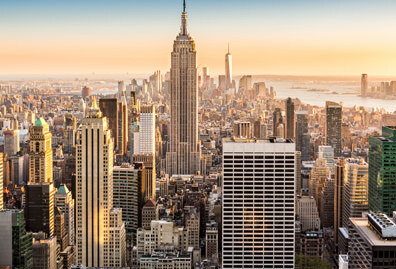 They’re more confident,” says Donohue, who spent 10 years as a hydraulic engineer with the U.S. Army Corps of Engineers-New York District. There, she was part of a team that focused on ecosystem restoration. 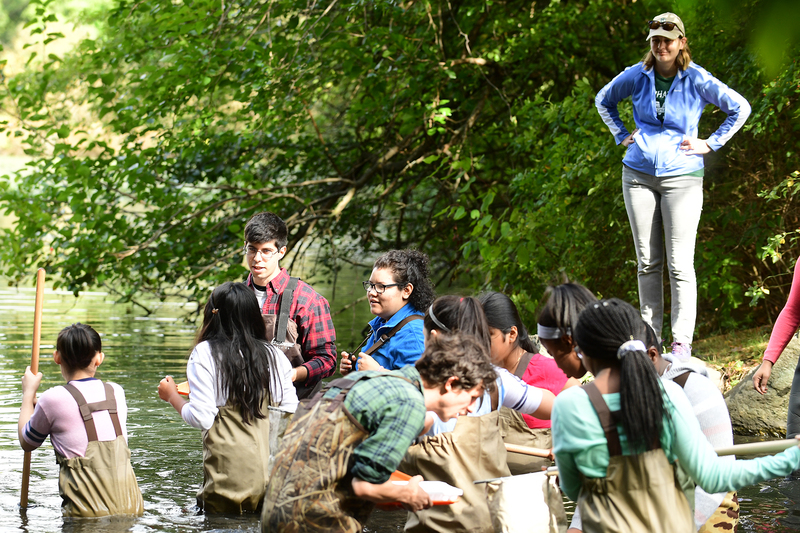 Donohue and Wilson educated the next generation of women engineers this fall when they led efforts for “A Day in the Life of the Hudson River Estuary,” an event that educated middle school students from the Greenburgh Central School District on the health of nearby Van Cortlandt Park. That day in October, graduate students John Abbatangelo ’17, ’18 (M.S. ), Stephanie Castro ’17, ’18 (M.S. ), Tim Conway ’17, ’18 (M.S. ), and Mohamed Diallo ’16 (M.S. ), worked one-on-one with the seventh- and eighth-graders to administer tests in Leo Hall’s environmental engineering lab, that simulated the processes by which wetlands clean water that flows into the Hudson River. For her contribution, Castro helped the young teens navigate Tibbetts Brook, wading through the wetland to learn what organisms lived there. She also assisted the group in collecting water quality data from probes that had been placed around the area, which they later submitted to the New York State Department of Environmental Conservation. As she showed the young women the ins and outs of water quality research, Castro caught a glimpse into her past and her future. “The act of leading has always felt natural to me,” says Castro, who during childhood, had ambitions to become a teacher. But while taking physics in high school, she discovered her ability to effectively problem solve. In college, she began studying environmental engineering, where she could apply that skill to math and science-related issues. Castro is also establishing herself as a role model for Hispanic women working in math and science. During the afternoon, she bonded with a group of girls after observing that one was Ecuadorian, which prompted them to guess her heritage: Guatemalan. After finding the commonality, the younger girls were eager to know more about Castro’s academic journey. “It felt great being able to share my story with other Hispanic girls. If I would've had someone like me talking me into engineering, I would've been more involved sooner,” she said. Manhattan engineers contribute to other outreach programming throughout the year. 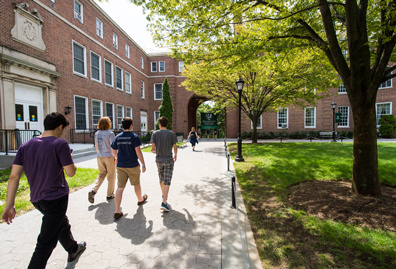 Since its beginning in 1982, alumni and current students have taken part in the Summer Engineering Awareness Program, which invites 100 high school students to campus, where they listen to guest speakers and participate in class lectures and labs, like they would as Manhattan College students. Today, a core initiative of the program is to encourage women and minority students to major in STEM fields in college. According to Walter Saukin, Ph.D., associate professor of civil and environmental engineering, who founded the Summer Engineering Awareness program, this goal is best carried out by female alumni. “[They] provide a reality check for youngsters on what skillsets are required, how important it is to have a mentor, and which degree combinations they should consider, so they know where they’re going, and can choose a career that’s long-lasting,” he said. As a yardstick for measuring the degree to which female engineering students assist one another, the Society of Women Engineers (SWE) excels. 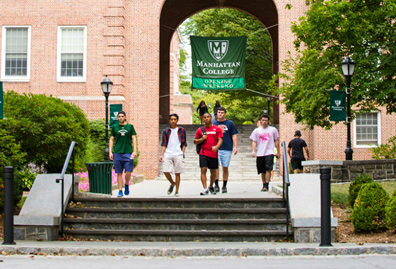 One of the most active at Manhattan College, this cocurricular organization is the type for which the term “strength in numbers” proves to be true – solicit a request to one member, and it’s safe to expect an inbox flooded with enthusiastic responses from others eagerly waiting to fulfill it. But that isn’t to say they’re not busy with their own projects. With the help of alumni connections, SWE led site visits this fall to AriZona Beverages, and the Gilbane Development Company, a leading construction and real estate development firm in the industry. They also held a workshop to learn AutoCAD, a computer-aided design and drafting software application that is commonly used by engineers across the industry. At its core, SWE’s mission is to forge connections between female engineering students that can be utilized for professional and academic purposes. Current president Maria Nieto ’18, who joined her freshman year, after moving to the U.S. from Spain, has seen its benefits firsthand. “When I was a freshman, I was able to see what girls from all class years were going through, so I had a preview of what things were going to be like for me. I soon realized it was a network that could help with anything. 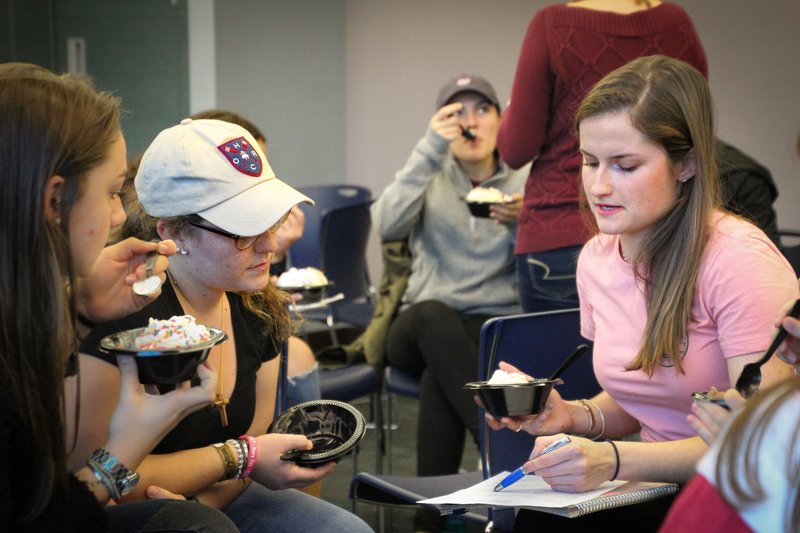 “Now that I’m a senior, I’m able to tell younger girls what they should be taking advantage of,” she explained at an ice cream social in November that invited freshman and sophomores to have their résumés reviewed by upperclassmen. Looking back at the School of Engineering’s identity in 1887 – a modest poly-technical curriculum offered by the Christian Brothers – its humble beginnings seem a far cry from the robust institution it is now. But what has remained true through the years is the common thread that has made many achievements possible, according to Tim Ward, Ph.D., dean of the School of Engineering. “One of the strengths of the Manhattan College undergraduate engineering community, which I have seen in my time as dean, is that the students truly support one another. 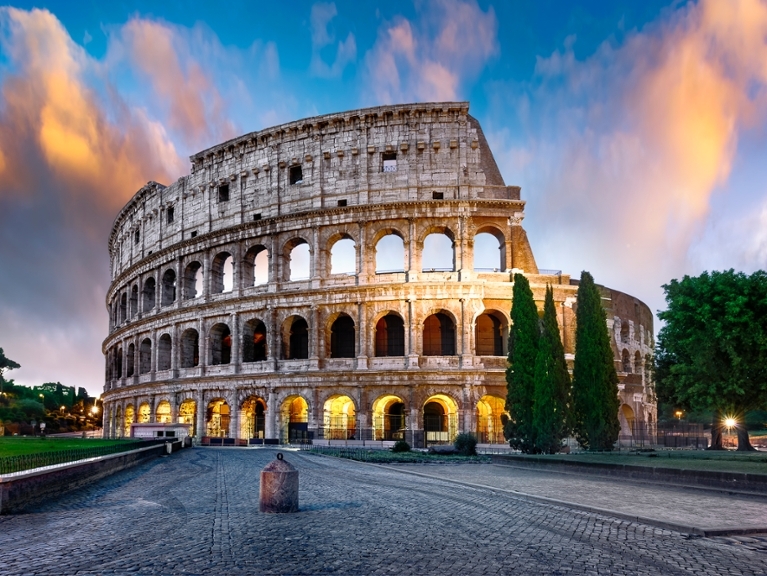 They do not deleteriously compete with each other as is sometimes the case in other institutions; instead they work together to learn,” he says. The sense of community among engineering students has long fostered substantial growth and development, and strengthened substantially after the second half of the 20th century, when the School of Engineering produced its first female graduate – Patricia Ruback Kehrberger ’69. Since then, more and more women in STEM have established themselves in the field by nurturing two of their most important relationships: the one they have with themselves, and the ones they’ve built with Manhattan College. “It has been my observation that the female engineering students are keen on mentoring in the campus community, and receiving mentorship from the female engineering alumni community. This type of support will help the engineering professions recruit and retain female engineers in the future,” Ward predicts. 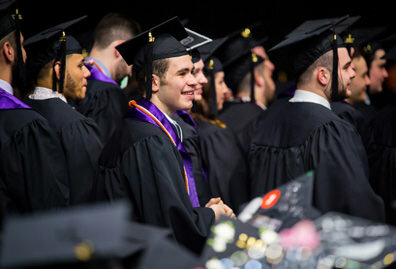 As Manhattan College looks ahead to the next few decades, the early success of its youngest alumni likely predicts the brightness of its future: approximately 90 percent of engineering students from the class of 2016 had enrolled in graduate school or accepted employment within nine months of graduation, according to the results of a career survey administered in February-March 2017. Using the achievements of its recent graduates as a benchmark, it’s a safe assumption that in years to come, the College will have no shortage of accomplished female (and male!) alumni to serve as role models for its students.